The Patient Protection and Affordable Care Act (PPACA), which went into law in March 2010 has various impact to the student health insurance plans offered by Colleges and Universities. PPACA is aimed primarily at decreasing the number of uninsured Americans and reducing the overall cost of health care. PPACA includes numerous provisions which take effect over several years. Beginning in 2010, student health insurance plans offered by College and Universities must comply with PPACA. 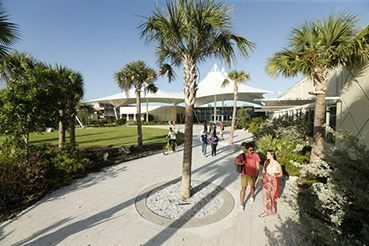 Eckerd College is committed to ensuring that our students continue to have access to affordable, quality, and comprehensive health insurance. Effective with the 2013-14 academic year, the Student Health Insurance Plan offered by the College includes changes that have been implemented to not only comply with, but also to mitigate the effects of PPACA. Changes to the plan design (benefits) were made with careful consideration and after reviewing the options and cost of plans available. We have worked very hard to achieve the lowest cost health insurance without greatly affecting the quality of the benefits currently offered in the plan. All full time degree seeking students in the traditional program are automatically enrolled in the Hard Waiver Student Health Insurance Plan. The annual fee is assessed to the student account and the student can only waive out the coverage by providing evidence of comparable coverage. The annual cost for the Hard Waiver Student Health Insurance Plan is: $1,464. The deadline date to waive the student health insurance plan is September 11, 2018; after this date there is no refund. Why am I billed for student health insurance plan? 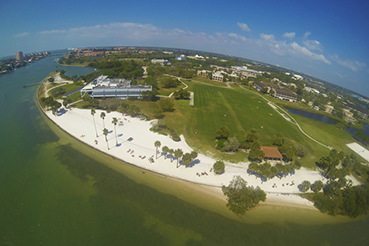 Eckerd College requires that all full-time degree seeking students in the residential program have personal health insurance coverage. To insure coverage, the College automatically bills your student account for the premium cost of the College’s student health insurance plan. You have the option to waive the coverage by submitting proof of personal coverage. Complete a waiver on-line or to review the College’s student health insurance plan. Is there a deadline to waive the coverage? Yes, the deadline is listed on the Bursar’s page; there is no refund of premium after the deadline date. Do I have to purchase the College's health insurance plan to use the Health Service Center on campus? No, the Health Service office is open to all students and accepts most major insurance; under the College’s policy the co-pay is waived. With the College's health insurance plan do I need a referral? Yes, students must visit and use the Health Service Center on campus first where treatment will be administered or referral issued. Please note that when the Health Services Center is closed the referral requirement is waived. If a medical need arises outside of the normal business hours or on weekends, no referral is required. What is the maximum benefit payment under the College's student health insurance plan? The policy provides benefits for the Covered Medical Expenses incurred by an insured person for loss due to a covered injury or sickness up to the maximum benefit of $500,000. There is $150 (per person, per policy year) deductible for preferred providers and $400 (per person, per policy year) deductible for out-of-network providers. Who is the preferred carrier for this plan? Does the plan cover preventive care and mental illness? 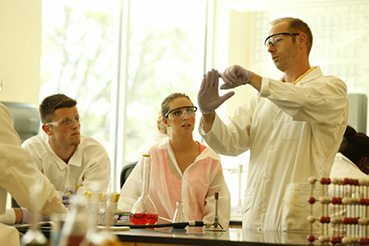 Is there prescription coverage with the College's plan? Yes, the co-pay per prescription is $10 for tier 1 and $50 for tier 2. There is no co-pay for generic brand. How do I get an insurance ID card? You may download a card by creating an account on the Student Resource page. I plan to study abroad for a semester; will the insurance plan cover me while I am abroad? Yes, if you purchased the College’s plan and remain enrolled at Eckerd College you are covered anywhere in the world. You may submit your claim form on-line; this site is available to you 24/7 you may easily monitor your claim(s) at your convenience.